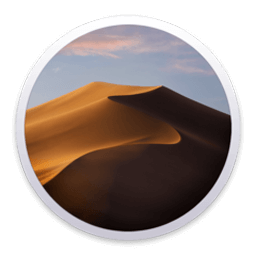 macOS Mojave brings new features inspired by its most powerful users, but designed for everyone. Stay better focused on your work in Dark Mode. Automatically organize files using Stacks. Take more kinds of screenshots with less effort. Try three handy new built-in apps, and discover great new ones in the redesigned Mac App Store. Now you can get more out of every click. New ways to view. More ways to do. Ready for their big‑screen debut. Gallery View: With Gallery View, you can scroll through big previews of your files to visually identify the one you’re looking for. So finding that image of the smiling girl by the Ferris wheel or the PDF with a colorful pie chart has never been faster. Quick Actions: With Quick Actions in the Preview pane, you can work on files right from the Finder. Rotate images, create PDFs, trim video, and more — without having to open an app or rename and save your file. You can even apply them to multiple files at once, or create a custom Quick Action based on an Automator workflow. Complete Metadata: Metadata provides the key details of any file. Now the Preview pane can display all of a file’s metadata, or you can customize it to show just the metadata you want to see. So if you’re looking for a specific image, you can quickly confirm the camera model, aperture, exposure, and more. Adds over 70 new emoji characters, including new characters with red hair, gray hair and curly hair, new emoji for bald people, more emotive smiley faces and additional emoji representing animals, sports and food.